Why did Auckland Council reduce funding for Kauri dieback prevention? Home / Environment / Why did Auckland Council reduce funding for Kauri dieback prevention? Kauri dieback is a scourge in Waitakere, particularly in Titirangi and the French Bay Paturoa area has a high concentration of trees affected by the disease. One of the most prominent sites is the former home of Colin McCahon. The Kauri on his property featured prominently in some of his art. There are 21 significant Kauri on the site and many of them are affected. The implications of the disease are terrifying and infection appears to be almost inevitably followed by the tree’s death. So far no cure has been found and Waitakere faces the prospect of the gradual but inevitable extinction of the King of the forest. Part of my job on the local board is to review resource consent applications and regrettably I am seeing them for the felling of diseased Kauri. Some very dedicated westies in Titirangi have applied very reluctantly to have Kauri felled for safety reasons. There is hope. There is ongoing research into the use of Phosphite and results so far are promising. While not curing the disease the treatment has lessened the symptoms of dieback and the general health of the tree is improved. It is hoped that the treatment could add decades of life to affected trees. Scientists working on ways to fight kauri dieback say field trials using a common horticultural chemical are showing promising results. Phytophthora taxon agathis (PTA), the phytophthora pathogen that kills kauri, is widespread with the most recent tests confirming its presence in the remote Warawara forest in the Far North. Plant and Food Research scientists have been injecting selected kauri trees in Northland and Auckland forests with phosphite, a chemical used by fruit growers to ward off phytophtera. Team leader Ian Horner said the kauri injected with phosphite showed they were able to fight off the disease. “When the phytophthora gets on to these trees you get these bleeding cankers at the base that spread up and around the tree and eventually girdle and kill it,” Dr Horner said. This is great news. It underlines the importance of the Government and Auckland Council continuing with the trials and the keep Kauri standing program. And rather than wait for the trees to die landowners could engage arborists to apply phosphite now although of course no guarantees of success can be provided. There is concern that too much Phosphite may be toxic for the trees. But I understand that apart from yellowing of the leaves no major effects have so far been measured. And if a tree is dying then what is there to lose? Continued research as well as education and publicity is vital. So it is of deep concern that it appears Council has cut the budget for the Biosecurity Kauri Dieback unit, despite the urging of Councillors for the budget be maintained. The unit is engaged in monitoring and advising and awareness raising and plays an important role in dealing with the problem. Evidence comes from a official information release made to my friend Mels Barton. The impression was created that funding for the unit was being increased from $304 thousand to $361 thousand per year and did the councillors want to cut this. They said no. This screen shot from the release of information from Council shows the figures. It is clear however that the funding has been being cut with Council funding going down by about $86 thousand. For some unknown reason the 2015/16 figure included central government funding but the earlier figure did not. The actual budget from Council was $219,000 which was a reduction. This is why the project lost its field officer who was performing an important role. Another staff member who left has not been replaced. This is disappointing as their work is vital. This incident raises questions about why the two different figures have been used, one with central funding and one without. And why in the midst of a crisis involving the king of the Waitakere forest attempt to save him are being stymied by budget cuts. Who do you think it should be directed to? Thanks Keith I am contemplating a notice of resolution for the Local Board to try and get the funding reinstated. Thanks for this information which is quite alarming. It is good to hear that there is a possible remedy for the disease which, if not a final cure for it, may at least arrest it. An explanation for cuts to the planned budget for kauri protection is necessary. All power to the community board in seeking to find out what is happening. Thanks Glenys. I agree the news about the potential treatment is great but we owe it to Kauri to be doing as much as possible to accelerate the research. 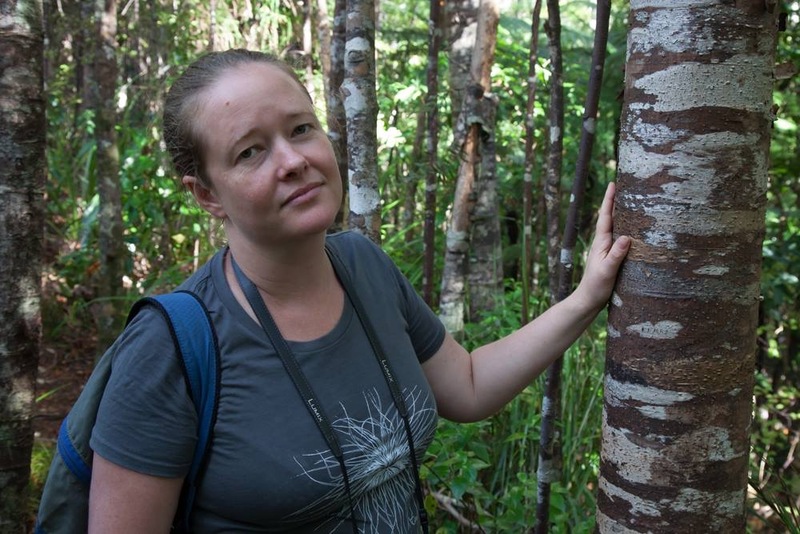 It is vital to protect the Kauri both with funding and treatment. Keep up the good work and apply pressure where necessary. Hi Greg, following this up with our parks staff. Will get back to you personally with a reply. Penny is trustworthy and very intelligent. Hope her inquiries bring positive results. Hi. I heard a story that part of the budget has been redirected to another Council department for research. It’d be good if Council could advise us what’s happening. Currently I am aware of some bush volunteer groups waiting for a response to enquiries. Why not have volunteer groups fix the Kauri. The only cost would be training, lunch, drink and the Kauri medicine. = Cheap as!